ROCKFORD, Ill. – The American Hockey League’s Rockford IceHogs today announced that goaltender Kevin Lankinen and forward Brett Welychka have been reassigned to their ECHL affiliate, the Indy Fuel. Lankinen, 23, has appeared in the three games with the IceHogs this season, combining for an 0-2-1 record with a 2.98 GAA and .852 save percentage. He made his AHL debut on Oct. 5 at Cleveland, helped Rockford to a point with 15 saves in an overtime loss on Oct. 19 at Tucson and posted a season-high 19 saves in his most recent outing on Nov. 17 at San Antonio. The Helsinki, Finland native returns to Indy where he is unbeaten through three games with a 2.33 GAA and .910 save percentage. The netminder won his ECHL debut with the Fuel on Nov. 1 vs. Utah and has combined for 53 saves over his last two outings. Welychka, 24, was originally recalled by Rockford on Oct. 29 and made his team debut the following game on Nov. 2 at Milwaukee. 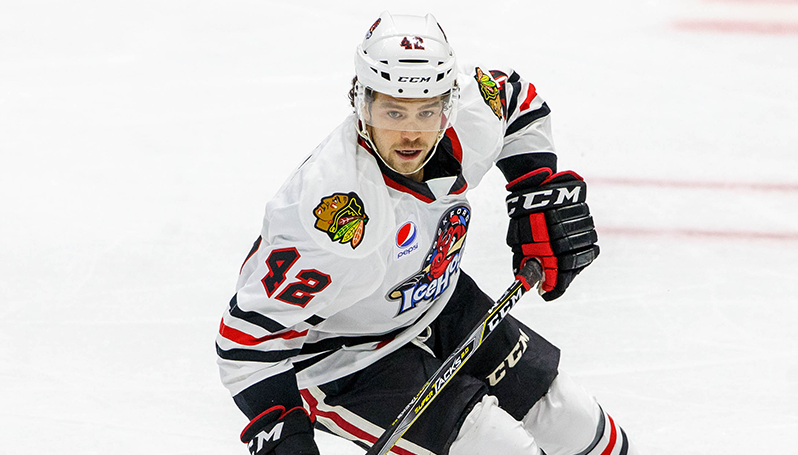 He skated in eight total games with the IceHogs and has now combined for two points (1g, 1a) in 16 career AHL contests over the last two seasons. The London, Ontario native returns to Indy where he has logged two goals and two assists in five ECHL contests this year. He picked up three of his four total points on Oct. 20 vs. Toledo, netting a goal and adding two helpers in the Fuel’s 3-2 overtime win against the Walleye.